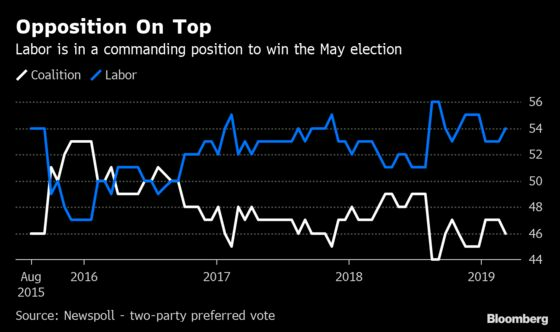 (Bloomberg) -- Australia’s opposition leader Bill Shorten vowed to cut taxes for lower-paid workers and boost spending on public health and education services ahead of elections in May that polls show his Labor party is poised to win. 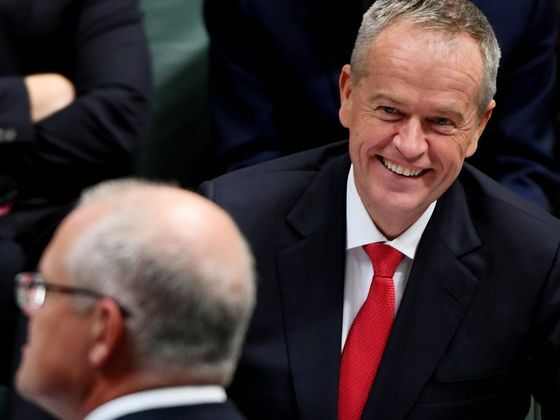 “The Australian people are hungry for a united, stable government with a real vision for the future, one that can make hard decisions,” Shorten, 51, said in a speech in Canberra on Thursday in which he outlined his economic vision for the nation. He promised to implement reforms that will help eliminate generational inequality, skewed by a tax system that Labor claims has unfairly favored baby boomers. The former union leader’s blueprint comes two days after the ruling Liberal-National government delivered its annual budget, pledging sweeping tax cuts mostly aimed at the middle class and a spending spree on transport infrastructure. Prime Minister Scott Morrison is running out of time to turn around poor poll ratings. He’s expected to request that both houses of parliament be dissolved as early as Friday, triggering the start of the election campaign. Morrison, 50, has had less than a year to boost the government’s popularity since claiming the leadership of a party riven by personal vendettas and infighting over key policy. In contrast, Shorten has guided Labor since its big election loss in 2013, using methodical policy announcements aimed at reducing generational inequality and combating climate change to boost his party’s popularity, even as surveys show he’s not personally popular with many voters. Shorten on Thursday pledged to introduce more tax rebates worth A$1 billion ($711 million) for 3.6 million workers, most earning less than A$40,000 a year. A A$2.3 billion fund will be created to cut medicine and treatment costs for cancer patients. Much of his pitch was aimed at younger and working-class voters, including implementing measures to bolster the minimum wage, and boost funding for disabled services and vocational learning. Should he win power in May, Shorten will take the helm of an economy showing signs of problems. 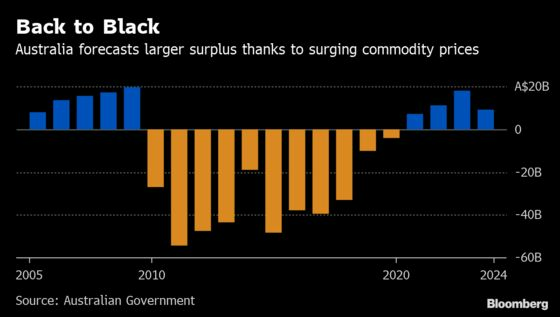 Even as Morrison’s government announced on Tuesday that surging commodity prices and a hiring bonanza should create the nation’s first surplus in more that a decade in the fiscal year through 2020, the market focused on the central bank’s warning of weakness in consumption due to stagnant incomes and falling home prices. Australia’s sharply slowing economic growth mirrors the global economy, with the nation also hit by trade disputes between the U.S. and China. Shorten’s center-left party is pledging to curb tax breaks for property investors that helped drive home prices beyond the reach of many Australians. He’s also promising to scrap tax refunds worth A$5 billion a year for share investors -- a policy that’s angered wealthier retirees but is more popular voters under 35. On Tuesday, Morrison said if his government wins a third term it would implement tax cuts of up to A$1,080 a year for about 10 million low- and middle-income earners, and reductions in the tax rate for small businesses by 2.5 percentage points to 25 percent by fiscal 2022. While a change of government next month is not certain, Morrison knows he faces a mammoth task in winning over voters. A Newspoll three weeks ago became the 50th consecutive such survey to show the government trailing its main opposition. Should the eight-point margin be replicated in the May election, Labor would win comfortably.